Dig up an oil well, install a world-scale refinery and build a couple of large chemical plants around it? Yes, it is still happening – but it’s only a part of the future of the chemical industry. The whole world is getting faster and customers are demanding their personalized cereal, car or clothing. As the raw material base is diversifying, the chemical industry cannot stand aside. Flexibility is the order of the day, and a position far upstream and not in direct contact with consumers is only seemingly safe from the changing requirements of the markets. Imagine you are building a large project with plastic bricks, and you are missing the one specific brick required to finish it. Today, you either go to the shop and try to buy this brick (which may work in a large town, but not on Sunday, if you are in Europe), or you order it via the internet (then you will still not get it on the same day). Or you design the brick you need on your computer, feed some plastic granulate into the 3D printer and voilà! you can proudly post your finished work to your family and friends. This may be still dreams of the future, and you might not really be into plastic-brick building – but the same may hold true for any piece of equipment you need at home or at work, and the first steps have already been done. Just follow the strain of thought for a moment: What does this mean for the plastics producer who sells tons of granulate today to the toy producer? What if the brick needs to be blue, red or white, flexible or with a certain kind or surface? The business models of producers will change drastically, and not just in consumer-oriented industries. A look at the pharma industry shows what might yet be to come in other industries: In personalized medicine, getting the sample to the lab quickly and safely has already become a part of the “product” or rather pharmaceutical solution. Other industries will have to think about shifting from products to solutions as well if they want to stay in the market. Learning about or even anticipating consumer demands will be crucial. Digitization and an advanced cooperation with other businesses along the supply chain – not least the logistics industry – are fundamental to making this change. 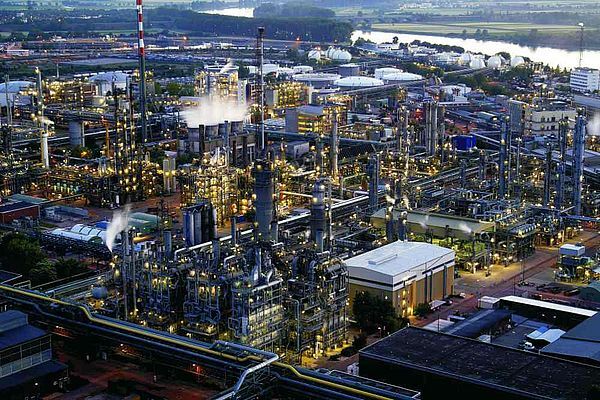 ACHEMA 2018 is taking this into account, putting the spotlight on “Flexible Production” and “Chemical and Pharma Logistics”. If you want to discover the future of your business, you should start right here.